PENTAGRAM was punished by Riot for what they did to Dara. Screengrab via League of Legends ????? 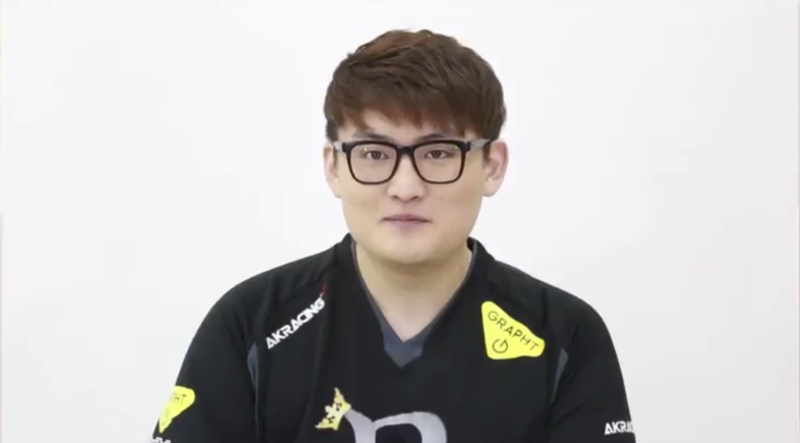 League of Legends player Jeon “Dara” Jeong-hoon, who played professionally for three years, has retired from pro play after a traumatic experience with his former team, according to a Kotaku report today. The treatment he received from his former LJL team, Team Rampage (now known as PENTAGRAM), was too much to bear, according to Kotaku’s translation of Dara’s announcement. Dara said that he can’t play without throwing up, and that “his spirit is broken.” He will return to his home in South Korea for the foreseeable future. In February, Riot handed down a three-month ban for PENTAGRAM staff members Nakamura Hiroki and Fujita Takuya, and a five-round punishment for the team during the Spring Split, after the team confiscated the foreign residence cards of its players. All foreign residents in Japan are required to keep resident cards on their person during their stay in the country, or they face legal punishment including fines and jail time. PENTAGRAM also used the confiscated cards to threaten and punish the players, according to Dara’s retirement announcement. But Dara said Riot’s punishments of PENTAGRAM were far too light. And indeed, the punishment doesn’t appear to have affected the team considerably—they still ultimately won the split and are currently competing as Japan’s representatives at the Mid-Season Invitational. Dara said he “he didn’t want to be in a world in which the penalty for what he experienced was only three months,” according to Kotaku’s translation.